A war is raging between the vampire forces of the Red Court and the White Council — a war that the wizards are losing. So desperate are the Council that they’ve dragooned the experienced and the outcast to reinforce their thinning ranks of Wardens. One of these draftees is one Harry Dresden, Chicago’s only wizard-for-hire and a guy who’s long been looked upon with suspicion by the supernatural authorities. Now, he’s one of them, and his first big mission as a Warden is a doozy: take a small team of greenhorns to a frigid town in the middle of nowhere to rescue a handful of mortals who’ve been targeted by the Red Court. The question is, why exactly are these particular mortals so crucial to the outcome of the war? The answer will come only if Harry can keep them, and his team, alive for one very long night. This graphic novel collects the critically acclaimed, five-issue series in one volume, and features a bonus section with Jim Butcher’s original story outline, sketchbook artwork from Carlos Gomez, cover gallery with roughs from Stjepan Sejic, and more! 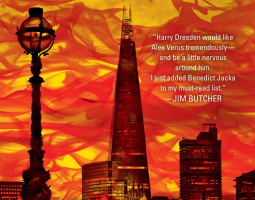 There is no denying my love of the Dresden Files, anyone I know can and will say that I am a fanboy at times. I can’t really pinpoint exactly what it is about the series or author I enjoy so much. I just know that when I pick up any book in the series I’m unable to put it down again until I finish it, not matter how many times I’ve read it before. So add my love of the series to my long time fascination with comic books and it might be possible to get a glimpse of the excitement I felt when I first received this graphic novel. War Cry by Jim Butcher takes place several months after the events of Dead Beat and covers the events only briefly mentioned in Proven Guilt. 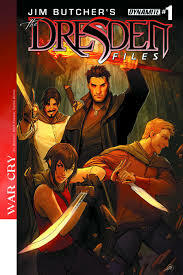 In this Dresden Files graphic novel we find Harry Dresden leading a group of rookie Wardens consisting of “Wild Bill” Meyers, Yoshimo, and Carlos Ramirez on an emergency mission from the White Council. The mission, in typical Dresden fashion, is pretty much a catastrophe from the get-go. When you take a group of power hungry vampires, a Lovecraftian monster, and a group of powerful but inexperienced wizards and mix them all together interesting things are bound to happen. This story managed to capture my attention as much as any of the books ever has and did a great job of answering some questions that reading Proven Guilty had left me with. If anyone has ever wondered just who the Venatori Umbrorum were, or why the Wardens in the district under Harry’s command respect him so much, they will know by the end of War Cry. We also get a good look at how and why Wardens like Ramirez and Meyers have to mature so fast and take on responsibilities long before they would normally be trusted with them. It is not a good time to be a wizard or a warden of the White Council. I found the art from the graphic novel to be simply fantastic, the illustrators did such a good job in capturing that almost gritty feeling of the Dresden Files. While I enjoy comics and graphic novels, I don’t usually like them when they are based off of books I enjoy. I usually have a well defined picture in my head of what the characters all look like, and I usually judge someone else’s depictions of them harshly, but they were almost identical to how I pictured them here. Not to mention the biggest thing this graphic novel has going for it: Harry isn’t wearing a hat on the cover! I can’t describe the sense of joy I felt at something so simple as seeing Harry on a cover without that stupid hat. 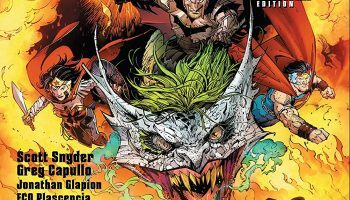 While I think everyone would benefit from reading the books in the series before they tackle any of the comics or graphic novels, I don’t think it’s strictly necessary for War Cry. You get enough of a background story to figure out just what is going on, why it’s happening, and the laws that govern the magical world in general. 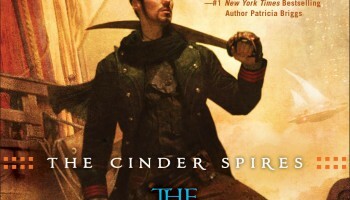 I know for a fact I will be picking up the physical copy of this book to add to my collection the day it releases. 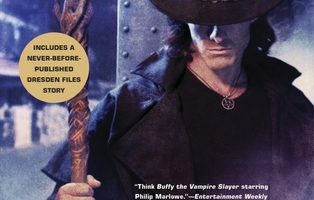 Jim Butcher’s Dresden Files: War Cry will be release by Dynamite Entertainment on November 11th. I received a free copy of this publication for an honest review.